Ashtopustech offer comprehensive range of student care surveillance system to prevent children at school abuse with GPS device and RFID reader our aim to provide secure and caring environment for learning and developing their potential. 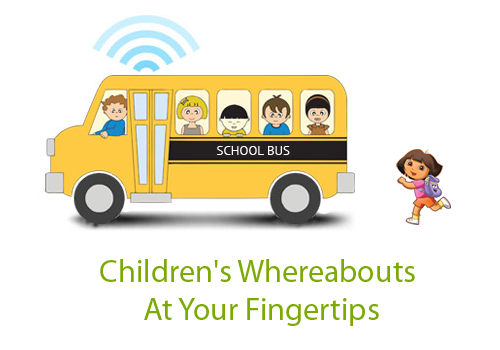 GPS-tracker helps you locate your children activity on real time - through a mobile App or Smartphone or computer. We are expert and innovate to build real time tracker products that enhance your child’s safety during commute, our mission, objectives and goals at GPS technology to implement optimal child care solutions to deliver best possible way that’s help the child feel safe/ secure and enhance the loving bond between you and your child. Our integrated surveillance system ensures that your child is protected from any kind of ill treatment inside the bus .Your child is in safe hands with Ashtopustech!! 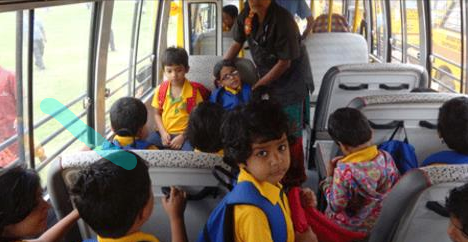 School buses are fitted with ashtopus Tech biometric GPS devices and school bus tracking RFID readers to gather location base and Student's rider ship information. Ashtopus servers monitor entire operations of the School Bus fleet on secure portal which can be accessed by School management. Alerts are sent via SMS and Email to parents and school authorities. Live information regarding bus location and student attendance can be viewed from anywhere via mobile devices. • Automated in bus Attendance! Parents automatically receive an SMS or email if their children did not arrive on time or left school earlier than the schedule .The children's tag as internal ID The children's tag can be used by the school as an internal ID in the lunchroom, library, infirmary, in school buses and so forth. You Get information about drivers functioning “route Adherence (Geo Fencing) Speed Adherence “Rash Driving Fuel theft instant breakdown alerts planned and unplanned Schedule Alert.